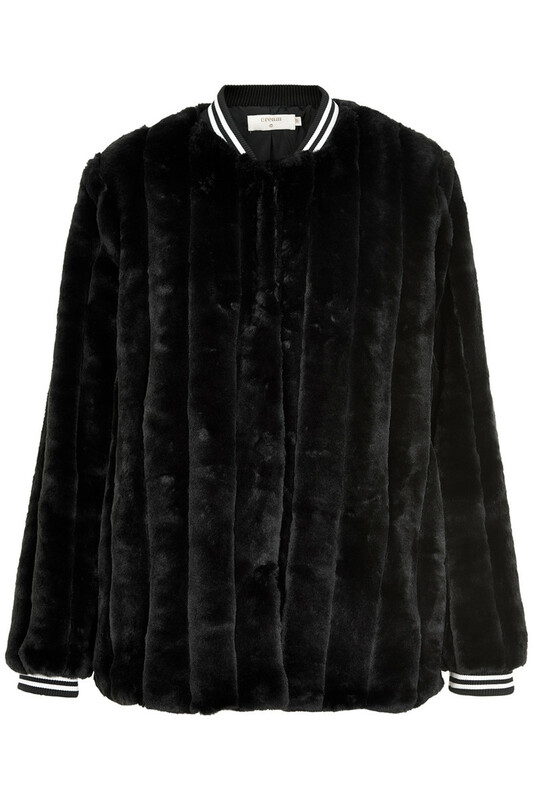 Fantastic soft and beautiful faux fur jacket from Cream. The jacket combines, very successfully, a feminine and elegant style with a little touch of sporty - The sleeve edges have these sporting stripes. The jacket is incredibly comfortable to wear, has a regular fit and snap fasteners on the front.